Since its inception in 1945 in Germany, Sennheiser Company continues to set the trend for the production of perfect sound systems. Sennheiser Electronics Corporation has its USA headquarters in Old Lyme, Connecticut. The manufacturer if famed for producing trendy microphones, earbuds, and headphones. These gadgets come with the highest level of innovation for excellent audio output. The company has an active presence in the US where it continues to offer premium products to improve the sound output. The Sennheiser label is driven by a vision to achieve the highest standard of sound quality to its clients. The Sennheiser CX 300 earbuds are known to provide magnificent sound experience while still ensuring the user is comfortable and safe. The trendy earbuds further boast of superior bass output to bring out the fun in every audio output. 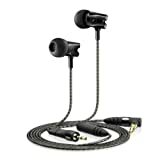 These earbuds are very ergonomic and come with three sets of earplugs which can be swapped thus ensuring an excellent fit. The Sennheiser CX 300 can produce a great bass experience combined with very fine-distilled audio. This is due to the high-quality speaker systems which are inbuilt. The user is, therefore, able to get the best sound experience without struggling. Fantastic earbud makers understand the need for a comfortable and fitting set of earbuds. 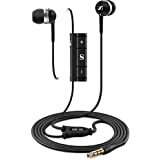 These earbuds have been proven to have a perfect fit as well as offer the ultimate comfort. They are personalized to fit in the ear canal while giving your fine tunes. There are ear adapter systems which can be customized further enhancing a perfect fit. Sennheiser Electronics understand the importance of having earbuds which easily fits in a wide variety of gadgets. The plug-in and play jack plug of 3.5 mm allows for use in devices such as the tablets, laptops, Smartphone and a range of portable music players such like iPods. Whether you are on a busy subway, a crowded place or working out in the gym, unwanted noise is likely to hinder your enjoyment of music and sound. That is why the earbuds are specially designed for sound isolation. You, therefore, get the best audio output which is not disrupted by noise and unwanted sound. For a compact, quality sound and an effective sound isolation earbud system, the Sennheiser MM30i Headphones will be a perfect pick. 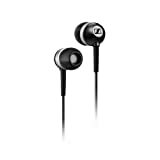 These are ergonomic, comfortable and easy to fit earbuds which come with an inbuilt remote control. This makes it easy to select tracks, place calls and take down memos. The bass produced is also excellent. The Sennheiser MM30i Headphones have a comfortable, customizable fit for a fantastic sound experience. They come with three disposable earplugs to ensure they fit well in the ear canal for an ultimate music output. The earbuds can thus be used even for extended periods without hurting the user. The Sennheiser MM30i Headphones have a great ear-canal make which is essential in blocking all the ambient sound. This assures the music lover that only sweet music from the music player is gotten. With these headphones, there is little worry about everything around. You will just get swallowed up by fantastic audio tunes. Shuffling through playlists or having to pause for incoming calls can be stressing. That is why this gadget is designed with an inbuilt remote control. It is now very convenient to adjust volumes, respond to calls, and skip tracks and pause a playlist. All these can now be done by an easy-to-use remote control. The headphones are also designed to be used with the latest iPods, Apple, iPhones as well as iPads. The sound firmness produced by the Sennheiser IE 800 is beyond perfection. These headphones are designed with the latest innovations in a bid to offer the user enjoy every second of music play. The low impedance of 16-ohms ensures top frequency output. The item is also lightweight with an extra wide band transducer to effectively complete a perfect sound tune. The 16-ohm impedance ensures that the sound is produced with a superb frequency much to the delight of the listener. This also provides a perfect compatibility with a variety of phones, tablets, laptops and portable music players. The audio experience is therefore enhanced. These headphones are further designed to ensure that there is the effective isolation of undesirable noise. This is because the headphones have an inbuilt ear-canal design for maximum noise isolation. The users are guaranteed of a wonderful audio output quality. These transducers make the headphones offer the best services regarding bass and a fantastic sieved sound output. The bass output is top and of a desirable caliber. This is of course with a comfortable and excellent fit. The comfort of these earphones is enhanced by using soft silicon ear tips. Nothing should stand on your way to getting the best audio output from your headphones or earbuds. The top reviewed gadgets have been tested and used with very positive feedback. The earbuds and headphones above are further designed using the latest innovation for an exceptional sound quality. This is also much to the comfort of the user.